Put Your Money Where Your Heart Is offers a sensible, easy-to-follow yet powerful set of investing strategies for the would-be investor - from the complete novice to those with experience. 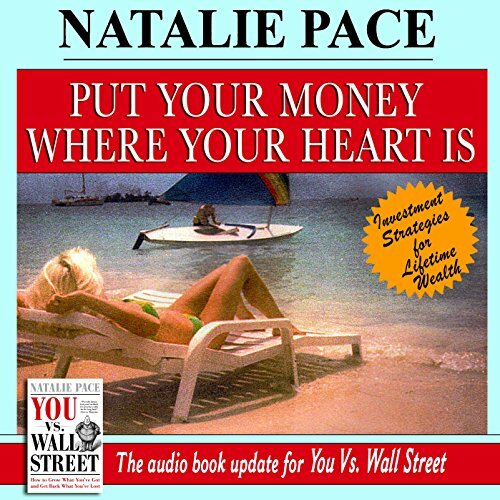 Natalie Pace urges the reader to begin with an area of investing that they care about or know about, learning how to get rich by putting their money where their passions lie. Her method is based on a three-part investment recipe and a six-step "Buy My Own Island Plan", all presented in an informative and engaging style. In 2000, Natalie was a single mother about to lose her home because she couldn't afford to pay her property taxes. She never dreamed during those desperate hours that in two short years she would begin adding a splash of green to Wall Street, transforming lives on Main Street, and making outstanding returns for the men and women who were smart enough to put her theories into practice. Natalie maneuvered her way out of poverty and up above the ranks of Harvard-educated MBAs to become the number-one ranked stock picker on Wall Street. She shows us, through anecdotes and carefully outlined investing strategies, that making the transformation to a life of financial freedom and happiness is easier than one might think. Put Your Money Where Your Heart Is isn't just another personal finance book. Natalie's personal story as well as her credibility and expertise in the area of wealth building will inspire and delight readers, revealing her secrets to lifetime success and prosperity.